Here's a video introduction to Bill! 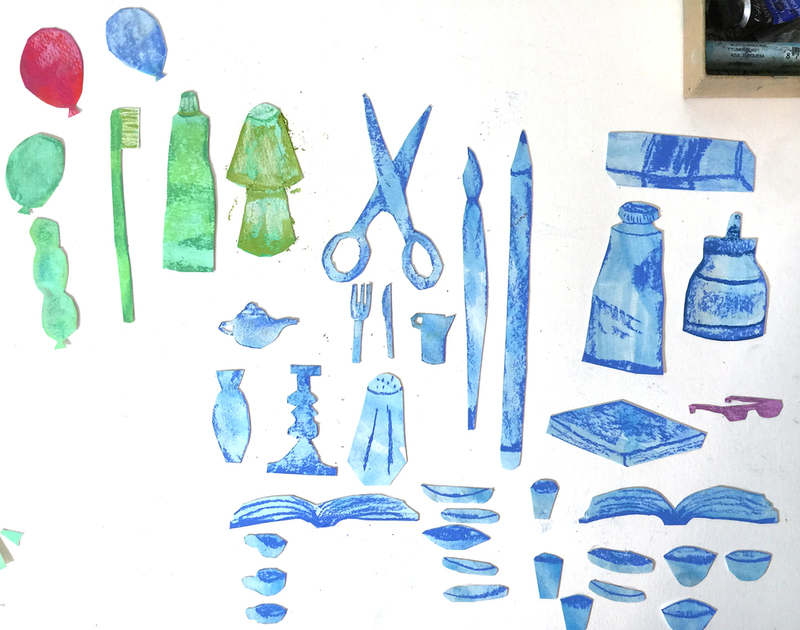 To buy a copy of Bill Bowerbird, visit Amazon here or Indigo here! 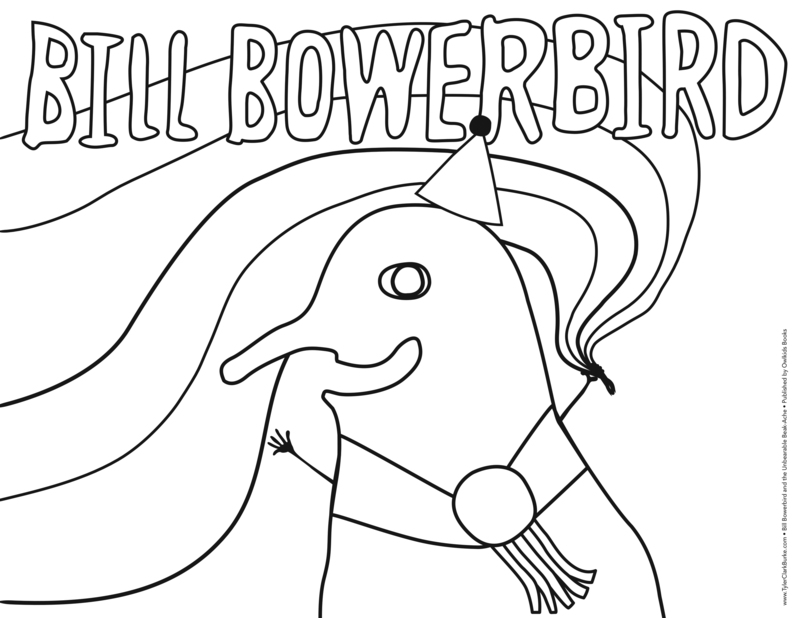 Download a Bill Bowerbird colouring sheet here! Get in touch to book a Bill Bowerbird reading here (in-person or by video), or to plan your own Bill Bowerbird scavenger hunt (sample list here)! Bill was also recently featured on Bedtime FM's FANTASTIC podcast Story Time. Listen here. 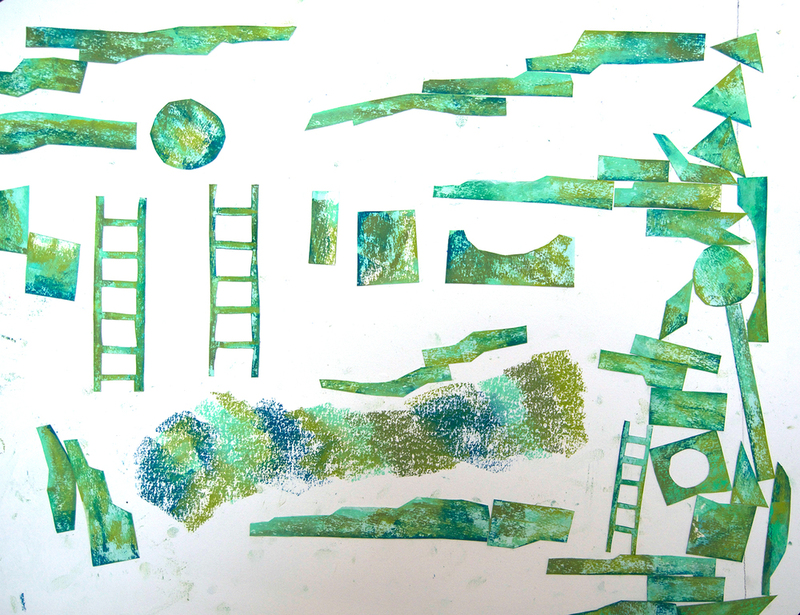 Recent press for Bill Bowerbird! To buy a copy of Bill Bowerbird, visit Indigo here or Amazon here. Bill Bowerbird is now available on Indigo and Amazon! Wickety-tickety-woo-hoo-hoo! 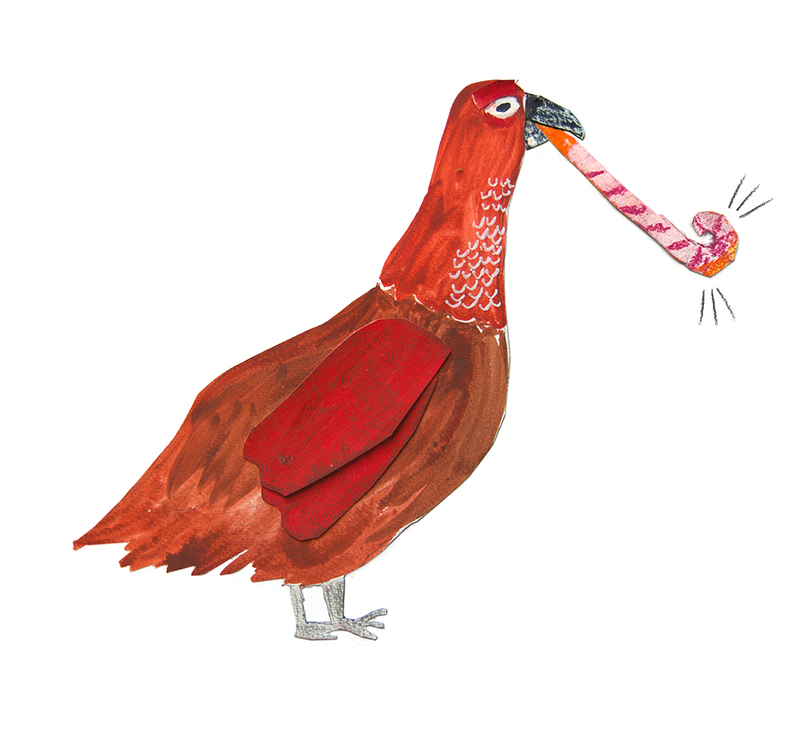 You can also visit the Bill Bowerbird website here! Bill is an eccentric collector, a borrower, a re-user, and recycler. He is a tinkerer, a mechanic, an engineer, and musician. He is a little Vaudeville, a little MacGyver, a little Fred Astaire, a little Dr. John. Bill is not just your average type of bird. Bill is a bowerbird. And like any good bowerbird, Bill loves to collect interesting objects and build elaborate nests. Bill also has a great gang of friends, likes to throw parties, and loves going to bed. But Bill has one problem! He's got a terrible, unbearable beak-ache! What to do, what to do? Wickety-tickety-BOO-hoo-hoo! He has a great gang of friends, like Gary the Grouse, Dr. Hoot (the owl), Wade the Walrus, Yolanda the Yak, the rope-skipping beavers Evie and Stevie, and the zebras Zee and Za. Empathy, community and sharing are very important in Bill's world. Bill also loves to have fun! He loves parties AND he loves going to bed! Bill Bowerbird and the Unbearable Beak-Ache was recently featured on the popular podcast Story Time. You can listen (and subscribe) to all of Bedtime FM's fantastic podcasts here. Bowerbirds are native to New Guinea and Australia. 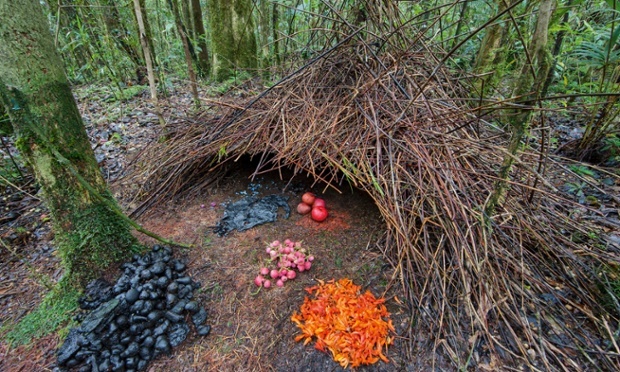 To attract their mates, the males (whom are very boring in plumage), build elaborate, colour-sorted nests from sticks and interesting found objects (often garbage).